1- After two months of practice and two weeks of shows, Riley is finally done performing Joseph and the Amazing Technicolor Dreamcoat. She has had a blast and worked with an amazing director and cast members. Time to start packing for college now! 2- Colby played baseball this summer for the first time. I am not a huge fan of sports for kids for several reasons, but we decided that a short time gig we could do. He had a blast, learned a lot, and his team even won the championship! I survived the heat! 4- The garden is actually growing. Too bad I am a cruddy planter. The tomatoes are hidden by the cucumbers and the zucchini has taken over the watermelon. The deer have eaten every bean and pea that came up, but THAT is not my fault. Raspberries are done and the blackberries are starting to go crazy. Next year I will plant according to the lessons I have learned and maybe we will have more than zucchini and cucumbers to share! We did somehow miss a few zucchini that grew way too large, so we have been shredding it and making zucchini bread as well. Yum! 5- I broke my toe last week and I am still slightly pouting about it. I will spare you the picture. When Life Has You Down. Literally! Yesterday, I snuck away from the heat and responsibilities of life and went to a friend's pool with my kiddos for an hour. It was a much needed break from reality. Unfortunately the reality was that I slipped getting into said pool and hurt my toe. I thought my pride was what was hurt the worst, but nope, I think I broke my toe. Though I kept ice on it most of last night, I woke up to a swollen, painful toe that I cannot put weight on despite my best efforts. And it is a lovely shade of purple on top of that! Since I refuse to go to the ER on a Sunday, I am icing it and staying off of it until I can get to the doctor on Monday. 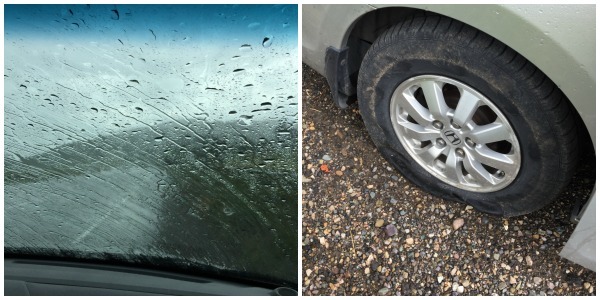 Please pray that they do not laugh at me and that they can find a quick fix. Ok, just not laughing would be good at this point. I feel like an idiot! (I know, we do not use that word in our house) But really I do. My pride hurts almost as bad as my toe. My recent exercise goals have come to a halt and it is discouraging. Thanks to a fit bit (more on that sometime) I have found my motivation again for exercising and watching what I eat. The upcoming wedding helps a bit too! Haha. I have a dear friend's wedding to attend in two weeks and new shoes to boot and now I am not sure how that is going to work out. I have plans and ideals and expectations and right now a lot of self pity. A lot. Luckily, I also have a friend who just told me my pity party was over, to grab the computer, and write what God wanted me to write. It took me a minute to think about that. Just a minute. I know what God wants me to say. Pride is a bad thing. It comes right before the fall. Literally. Unrealistic expectations, of ourselves and others, is a bad thing. It only sets us up for failure. Exercise is a good thing until it becomes obsessive and then it is a bad thing. Anything done in excess or for the wrong reasons can be an idol. Self pity and fear are also bad. Those things are not founded on God's truth. They are merely tools in the enemy's arsenal to keep us separated from God. So what do we (go ahead, you can read I) need to do? Take a breath and regroup. Stop for a minute and pray. Ask God to remind us of His promises and His purposes. Ask Him to help us combat fear, and idolatry, and pride. And thank Him daily for friends who love us and are bold enough to speak truth to us. Let's face it, playing favorites in any part of life is not always fair, but it usually happens. We are just naturally drawn to some things over others. It is a reality of life. That same reality holds true when it comes to homeschool curriculum. Try as I might to be as unbiased as possible, I do end up with favorites on our shelves and in our storage. As we age out of younger grades, those favorites get safely tucked away in storage boxes that I pray one day will school my grandchildren. Each year as the boys move into older grades we also get to pull out some old favorites that I used with the girls. It is something I actually look forward to each year. 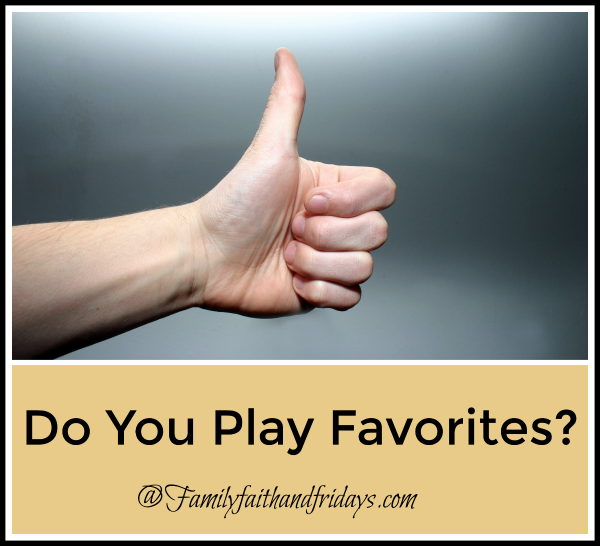 Those favorites are also the ones I tend to point friends to who ask the question- "What did you use for...?" We have used a lot and because I work as a curriculum reviewer, each year I find at least a few new favorites to add to the bunch. If I have reviewed a subject, the name is linked to the review for your convenience. Please note, this is NOT a sponsored post in any way. I am telling you we love these things only because we do. Since it is easier to break it into stages, here you go! Math- Saxon Math. 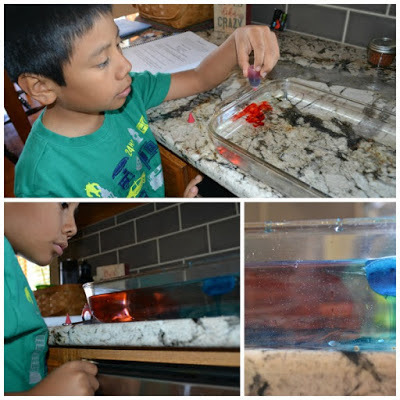 I know, I know, you either love it or hate it, but for hands-on kids (and what Kindergartner doesn't like manipulatives) I still think it is the best for this age! Learning should be fun, not drudgery! When it comes time to learn multiplication facts, I cannot more highly recommend a program called Times Tales. That little gem helped Colby learn math facts in two weeks! Science- Although it is not from a creationist point of view, so I advise caution in certain areas of study, we really do still love Nancy Larson Science. Everything you need is sold in the kit, the materials are well laid out, the pictures included are just beautiful, and Colby had a lot of fun with these courses. It makes me think of the science I learned back in elementary school with fun activities and just a lot of joy! History- Veritas Self Paced History- There are 5 levels in this program, all online. Colby LOVES this program and we are excited to start our third cycle this year. For auditory and visual learners, you will be blessed by the content. As a Christian educator, you will love how the Bible and History are seamlessly woven together! Grammar- All About Spelling is our favorite spelling program by far, and I would guess All About Reading is just as good. Logic of English is another program that is all inclusive with spelling and grammar too and is taking the homeschool community by storm. Writing- I am going against the grain a bit here, but the first thing I would say to you is just relax! Do a journal together, write about your day, or make up fun stories. Relax! If you absolutely need something a bit more formal but still fun, the Write Shop series is cute and less regimented. Literature- Read! Just read! And then read some more. Take turns reading each page read aloud, and require alone reading, but whatever you do, read! I have to say that the two programs we used that I am convinced taught Colby to read are PAL from IEW and ABeCeDarian. Foreign Language- Spanish- You cannot go wrong with Song School Spanish and Flip Flop Spanish, in that order. Start early and have fun. you will be amazed at how much they will pick up! Art- Homeschool Art Studio has a video for all grade levels and is fun and easy to use. Music- This is still the age where you should have more time for fun! A new program we have just been introduced to is from Zeezok Publishing and is called Music Appreciation for the Elementary Grades. I would not start it until 3rd or even 4th grade because there is a lot there, but man, is it amazing!! Math- CTC Math and Teaching Textbooks are both good programs. I would recommend you find which one your child does best with and stick to it. Science- Science Shepherd- We have really enjoyed these video based lessons and hope that they will add additional levels in the future. History- Notgrass History- There are now three levels for this age group I believe. We have used two in the past and are excited to begin this once we are done with Veritas Press. They are beautiful books with great information, and you can tie literature into your lessons as well. Grammar- I do not like this subject at this age, just heads up. It is just hard to find and most I find to be either way too deep for this age, or just plain busy work! That being said, we fall back to ABeka workbooks for just the basics and I love using a program called Grammar Ace in 4th grade. It uses the Schoolhouse Rock songs and is just fun to use. We use Spelling Power to keep spelling up because I do not have time for more worksheets and busy work. Writing- We just found Here to Help Learning and I love it! The video teaching is excellent and Colby has to actually be told to stop writing at times. He has surprised me with how creative he is and how much he enjoys Ms. Mora. Literature- This the the age that I go a little crazy with reading. My older girls did Sonlight all the way, and there are just so many books that they loved that I simply cannot fathom the boys not reading. Unfortunately for them I also adore the Memoria Press Literature series and the corresponding workbooks they have, and so now we do those as well. Bible- We have enjoyed all the books in the What We Believe Series from Apologia. Foreign Language- Spanish- Spanish for You and Classical Academic Press' Spanish for Children are the two we like the most, although if you need online learning, check out Middlebury for many languages! Art- If you have not seen ArtAchieve before, you are in for a treat. Again, online video instruction, but fun and easy to follow and each year focuses on a different theme. Math- Teaching Textbooks is still my top choice, but we also use Math U See's Stewardship program for a consumer math credit because I love the godly approach and practical lessons like budgeting, buying a car, and more. Science- Apologia and Science Shephard are both strong programs and include labs for kiddos headed to college. History- We have always used Sonlight curriculum for this level of work, as we feel it is a good lead in to college level classes. Notgrass also has choices for high school, we just have not used them. Grammar- We switch over to mostly vocabulary at this point, and use Wordly Wise and Vocabulary from the Classical Roots. If your child needs refreshers on basic Grammar concepts, Daily Grams work well for us. Writing- IEW, of course. If you haven't used it, do! Especially for college bound students, you just cannot go wrong. Mr. Pudewa is a favorite at our house. Literature- Again, we use Sonlight for most of our literature at this level, but also LOVE Sharon Watson's curriculum which often combine Literature and writing. Bible- Sonlight again! But I also add in a program from Apologia called I Don't have Enough Faith to be an Atheist. Foreign Language- UGH, another hard one for me. I guess the easiest to use is Rosetta Stone, but I still don't love it. It is just hard to find anything else that I feel is worthy of a high school foreign language credit. Art- Ha! Not so much at this level, but I do have all my kids complete a semester of Art Appreciation and a semester of Music Appreciation that I create. Are there more? Oh my, yes! As I have said in the past, there are just not enough kiddos to school in our house or enough time to cover everything I want to cover. Maybe I will have to just school my grandchildren some day. Click on the button below to see what other curriculum rates among the Crew's favorites! Pleasants Family Sayings, Part 2! 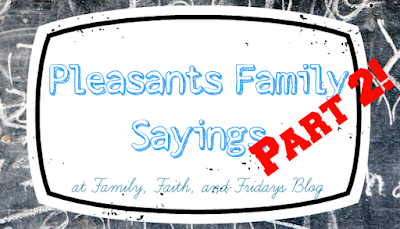 A few years back, we had a little fun sharing some family sayings we tend to use a lot in our house. Since that post, several friends have pointed out several more we use, so we thought we would share a few more. No whoops!- Dad has started using this one a lot lately, and it started when Ashton and dad laid the floor in the laundry room. When little things go wrong, we tend to say "whoops!" Hence dad saying- no whoops! That's your last one!- There is actually a funny story to this one. The kids will tell you that, anytime we do s'mores, at some point dad will ask how many you have had. No matter what the answer is, he will respond with "that's your last one." The kids will also tell you that their goal is to make sure they eat as many as they can before dad asks. Because no matter what number they are at- 2 or 20, that's your last one! Who has the plan?- We have two kiddos that like to know things in advance. Details please. Who? What? When? Why? How much? How many? Every. Single. Detail. To stop the madness, the response is now "who has the plan?" For the record, it is usually dad that has the plan! You should only say 6 out of the 10 things that come to mind.- In this world where everyone has something to say and everyone has an opinion, and many speak before thinking, we encourage our kid to think before speaking. Novel idea, right? There are more, many more, but for now, I will leave you with these! Do you find yourself saying the same things? I have loved that hymn's verse, and the additional lines that follow it, since I was a child. There is just something about lines that take the beauty of the world and point us back to God that warms my heart. Even better, illustrator Katy Hudson has taken the words penned by author Cecil Frances Alexander in 1848 and combined them with her lovely drawings into a sweet children's book. 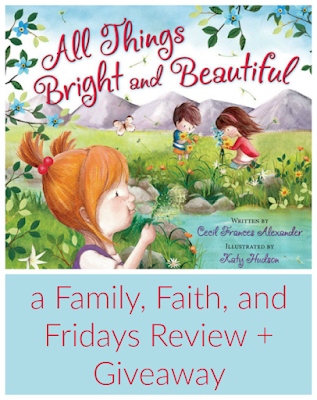 All Things Bright and Beautiful is beautiful hardback book, geared for ages 4 -7. It is such a joy to read! 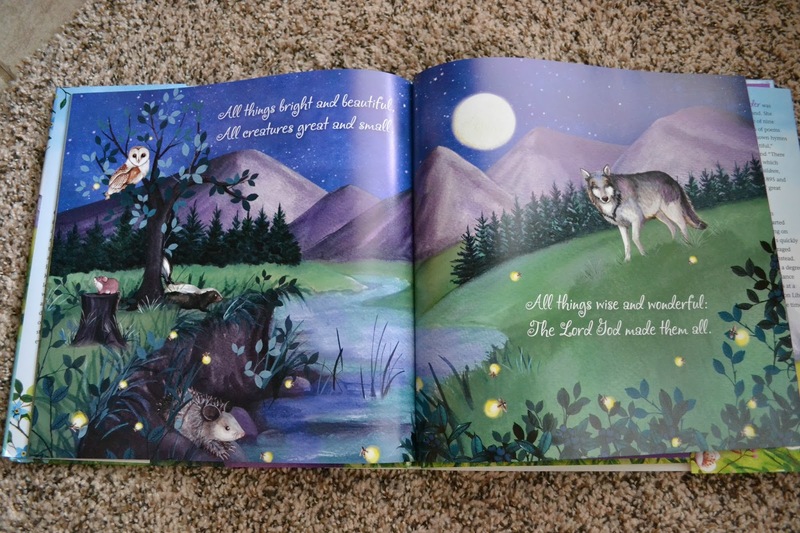 Each of the 32 illustrated pages is teamed with one line from the poem and reminds children that God and his touch can be seen everywhere. What a better lesson to teach our children, even at a young age? With each new quality children's book I have the priviledge to review, I grow more and more excited to one day be able to pass them on to the next generation of our family. I love that our faith can be taught to our children and someday granchildren not only by what we say and do, but also in what we read to them. If you would like to win a copy of this delightful children's book, just leave us a comment and make sure you let us know how we can get ahold of you if you win! Let's just be honest. Sometimes things in our lives do not look like what we thought they would. Or should. Plans get derailed, our time is needed somewhere else, people change, emergencies arise- things just happen. Unfortunately, the same thing can happen in homeschooling. Sometimes, even multiple times in a day. I think I have finally landed in the camp that feels that the "whys" of those changes, or even failures, are not as important as our solutions to them. Yes, we need to avoid pitfalls and make sure that we are not the root of the issue, but sometimes the best solution lies in the changes we make. In our own lives, we saw this play out this past year. It is no secret that when my husband was unexpectedly deployed, our lives kind of crashed for a while. We went into survival mode. Daily life looked a lot differently than normal- it had to just to survive. Meals changed, schedules changed, and even school changed. Yes, we continued school, but some weeks were better than others, and mom's follow up was not as good as it should have been. Some things fell through the crack and we are spending this summer reevaluating, regrouping, catching up and moving forward. A humbling lesson that even the best laid plans can change. So, how are we moving forward? What REALLY happened? Sometimes it is hard to see just the facts. We get caught up in emotions and the many sides of the story. Take time to sit down as a family and get to the facts. How can this be avoided in the future? Rather than dwelling on what happened, work on a solution. Yes, mistakes may have been made, and people might be at fault, but how can we fix the problem from this day forward? What can I learn from this? 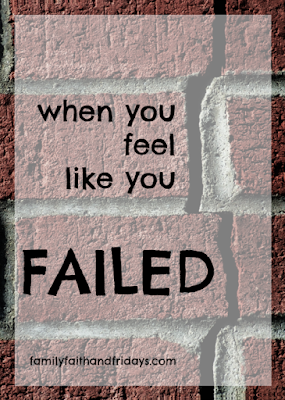 There is always a lesson to be had from failure. Or just mistakes. Look for the lesson. As parents, we are ultimately responsible for our kids while they are still young. 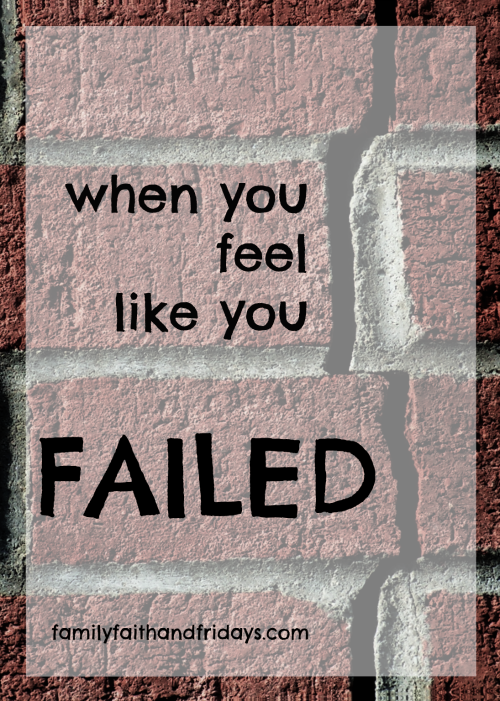 Each day I want to learn the lessons God wants to teach me, through my successes as well as my failures. What do I want my child learn from this? Again, what is the lesson we can teach our kids through this experience? Sit down and talk about it. Our times of brokeness are often the best times to reconnect as a family and draw closer together. Use times of disappointment or failures to pull together as a team with a common goal- success! How do we move forward? Make a plan! Now is not the time to "just do better." Decide what specific changes need to be made and then formulate a specific plan to get to your desired goal. You cannot hit a mark you have not made. Forgive! In most failures, there is plenty of blame to go around. Forgive yourself, forgive others, and move forward. Sometimes second chances are the best! If you know me well, you know this shirt speaks to me. My hubby went to college in Colorado and we lived there for three years later in our career. As my daughter says, it is our heart land. Something deep inside me just seems to settle when I see those mountains. I don't know if we will ever go back there for good, but when we are there, even for short times, our souls are refreshed. 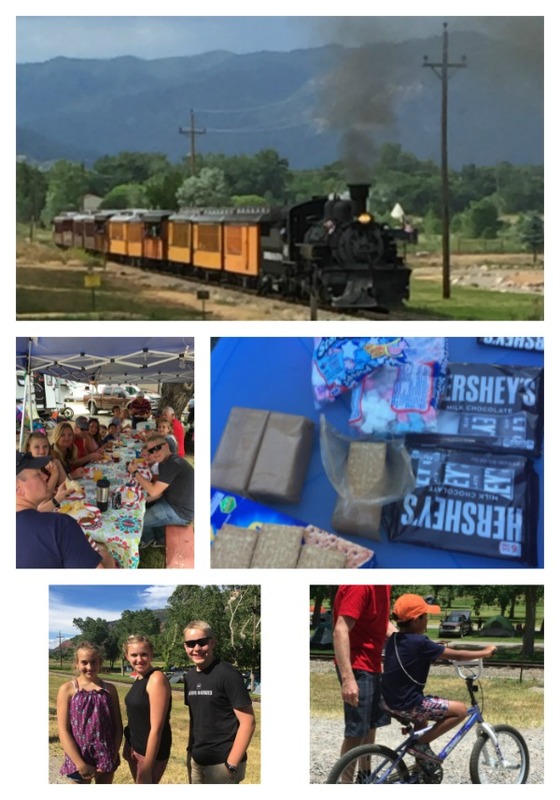 We were able to join some dear friends in the moutains for several nights over the 4th of July holiday. We had not seen some of them in more than several years and it was great to reconnect! Don't you love when you can pick up with old friends like you never skipped a moment? Getting there proved to be a little hard, but a few monsoons and a flat tire later we settled in! Campground life is amazing settled in those mounatins. Even when you are camping in a local hotel and just a guest for the days! We miss our RV, and the kids are on a mission to talk dad into getting a new one now! And of course, it would not be the same fun if it weren't for old friends and new buddies! 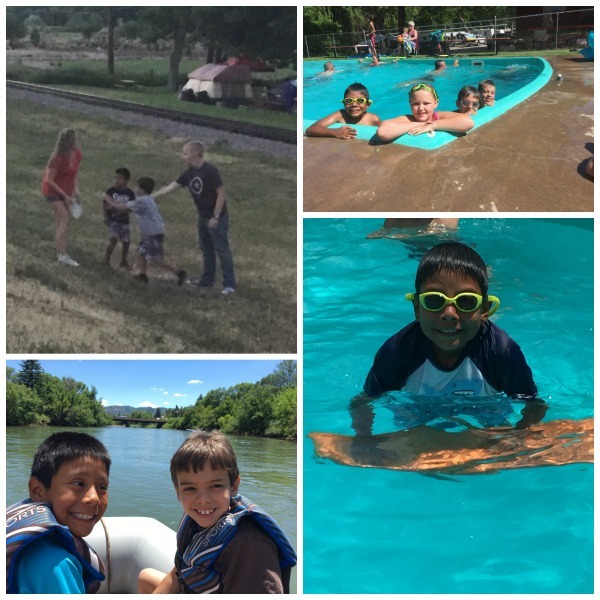 Not to mention a pool, a bike parade, and rafting trips! 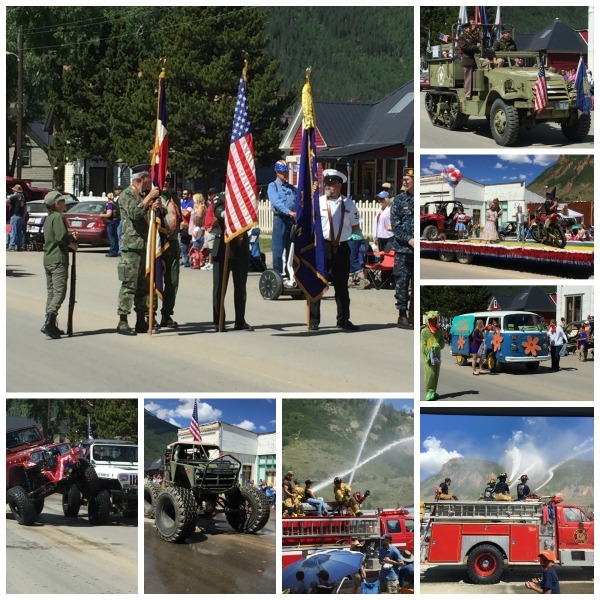 We even got to see an old fashioned parade in the little town of Silverton. Kind of puts the 4th in perspective! Not to mention the kids loved getting sprayed by the firetrucks! It was one of Colby's favorite things. All in all, a great trip, great memories, a great break, and great friends! Because of a recent blog post about the perils of courtship, and many others that preceded it, my mind has been in a whirl with random thoughts on the subject. This post has been written and rewritten in my mind and on paper several, ok, many times. If you have known me for a while, you know I could not keep quiet about this subject for too long. 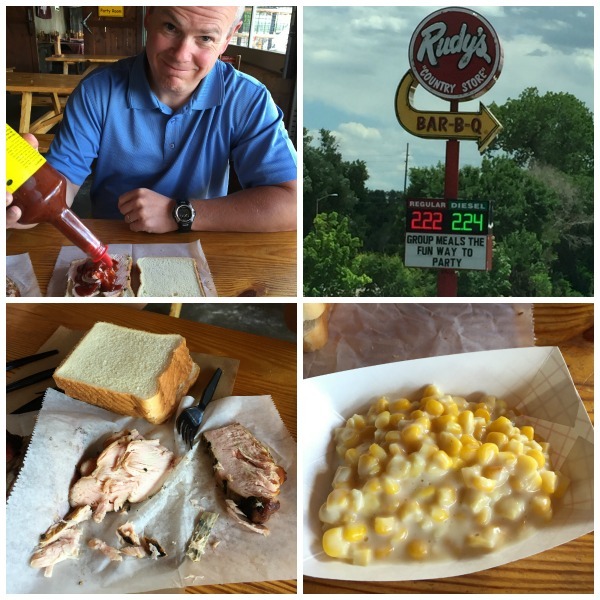 Things now look differently in our family then they did when this blog began several years ago. Our kids are getting older and things change. Out of respect for them and the friends they have, I have tried to lay low on the whole courtship versus dating debate. 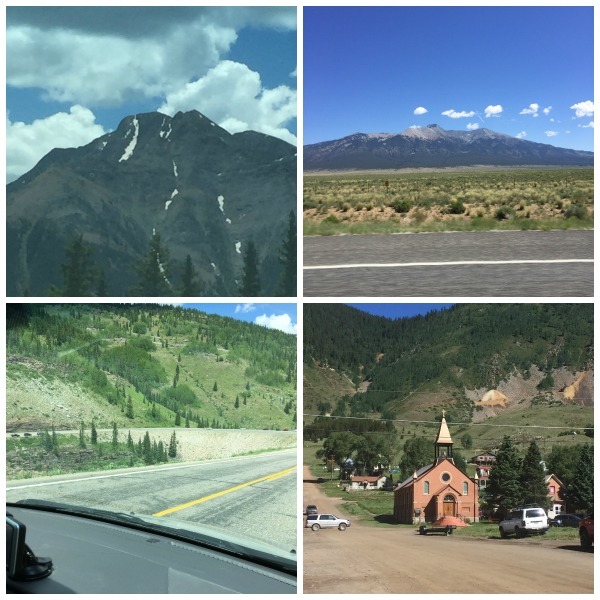 But because we have walked this road a little longer than some and have learned a few lessons along the way, AND because inquiring minds want to know, I am plunging in to give you a few thoughts. These posts were written several years ago. Though people change and circumstances change, I still feel pretty much the same way, but with a few tweaks. Our experiences are just that- our experiences. No better and no worse than someone else's. Just ours. There is no right or wrong in choosing dating or courtship if it is done in a God-honoring manner. If you are reading a post that says there is, I would tell you to find another post to read. God is the authority, not humans, and in the end, it is He that we must obey and please. Other people can just get in line. I think the article in question is a bit biased and skewed. Aren't they all, mine included? Here's the deal. We all feel passionately about what we believe and we cannot fathom that everyone would not agree with us or at least learn to once we presented the facts. Our facts. Our limited facts. Like stating that the divorce rate is going up among those that choose courtship. Yes, that is what the article said. I am pretty sure that the divorce rate is going up regardless of what path was taken to get married, courting or not. And I am pretty sure THAT is what we should be concerned about, not how someone chose a spouse and married them. The problem, as I see it, is not the path but the commitment. Too few couples really understand that when they stand in front of their friends and families and make a wedding vow, that vow is FIRST to God, and then secondly to the person they are making googly eyes with. If we understood that, then the divorce rate would be a non-issue. In my world, if you make a promise to God, you had better stick to it. Let's stop blaming the path and just call the issue what it is- our sinful nature. One of the saddest stories I have heard on the courtship issue was about a young couple who spent every waking minute together with their families. And they loved it! But once they were allowed to be alone closer to their wedding, they realized that alone, they were not that compatible. They had lots of fun in the family groups, but not so much when it was just the two of them, and therefore terminated their engagement. Yes, I do think couples need a chance to get to know each other outside of their families. How that looks is up to you, not me, or anyone else. No, I still do not believe in or allow high school dating. Once our kiddos are 18, rules change, but until then, that is our rule. We do not approve of getting married in high school, and therefore do not think dating is needed. 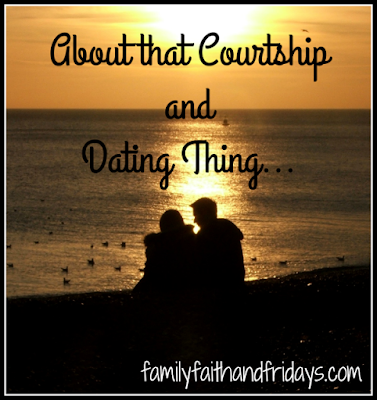 Dating, or whatever you want to call it, in our family is reserved for when you are ready to be a spouse. Most teens I know cannot even take care of the dog, more less a spouse. I do not believe that dating numerous people helps you decide what to look for in a spouse. The Bible tells us what to look for in a spouse. That is enough for me. People are not dumb. Surely we can meet someone and know pretty quickly if that is a person worthy of time or not. Friendship is the best place to begin, in my opinion. If you like being their friend, chances are you will like being their spouse. If they annoy you every moment now, they will annoy you 20 years from now. Dating multiple people does not somehow make you smarter at or better at choosing a spouse. It can however break your heart or someone else's heart. It can confuse you, lead to temptation, and leave a path of hurt behind you. God leads. Really, he does. We have seen this in our own situation and trust that in His perfect time and His perfect way, God will lead you to the right spouse. Patience is not something we are very good at as a society, but let me tell 'ya, God is a master at it! So do I have all the answers? Nope! Not a one, really. The path is rocky, it can be painful, and it most certainly will not ever be what you expected. But it is one that can be God honoring- whatever you choose to call it! I read a lot of books. Many for review purposes and some even purely for pleasure. I know, can you believe it? But occasionally a book I read strikes a nerve and completely settles in my heart with the words written on the page. The Life We Never Expected is one of those books. Written by husband and wife team Andrew and Rachel Wilson, The Life We Never Expected is a book about their experience of raising two severely autistic children. But oh, it is so much more than that! 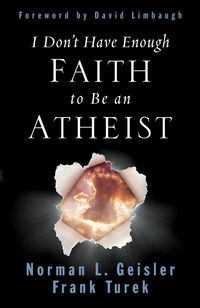 It is a book about heartbreak and hope, about struggles and victories, and about faith in God. 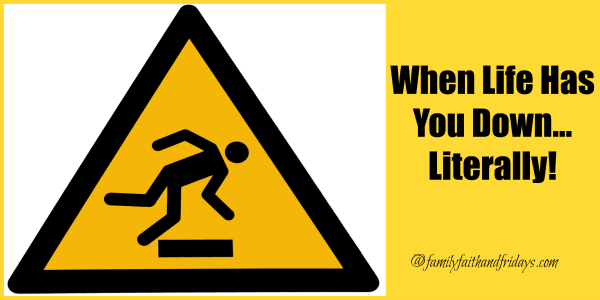 It is about what to do when "sometimes life throws you a curve ball." Doesn't that apply to just about everyone? Yes, if you have an autistic or otherwise special needs child, this book is for you! Read it and know you are not alone and that others are walking a similar path. But even if special needs are not on your life's journey, you need to read this book. I have not been able to put this book down. Oh friends, the nuggets of truth just keep coming. Though the Wilsons confess to not having all the answers, they do have a heavy flowing source of inspiration to share with others who have been thrown a curve ball. People who thought life would look one way and then discovered it looks completely different. They share their experiences and their faith, encouraging each step of the way, and yet honestly admit that some days are just hard. This 152 page book describes the five cycles they believe we go through and then break each of those into chapters of weeping, worshipping, waiting, witnessing, and breathe. Some of the stories they recount will make you smile and some will make you cry, but all will challenge you to look at your life and the lives of those around you through new eyes. After reading that, even now, I took a deep breath of relief. I let go of the guilt I have been carrying and realized that neither my feelings, nor my reaction to them, overwhelmed God. He has got this! And He has you! I cannot over stress my love of this little book! It is comforting, healing, and so much more. Whether you parent a special needs child, know someone who does, or just need some encouragement and strength for your own curve ball, I know you will be touched by the words of Andrew and Rachel! FlyBy productions is offering a copy to one reader of our blog! Just leave me a quick comment and a random winner will be chosen next Friday! "Our deepest emotional need is to feel loved"
This profound statement, found on page 119 of Gary Chapman's new book, A Teen's Guide to the 5 Love Languages, speaks to me. It actually rattles inside my brain loudly. It is such a simple statement, and yet seems to be one that many in the world are missing. Actually, they are not just missing that statement, they are missing the love! Look around you. There are people crying out for love. But there are also people trying to love them. So where is the disconnect? Why are we seemingly missing the boat? Acoording to Gary Chapman, it is because each individual has one primary way in which they best recieve love- Words, Time, Gifts, Service, and Touch. He calls these the five Love Languages. They are the manner in which people can "speak" to us and fill our love tanks. In other words, the way they can best show us that they love us. The problem, he concludes, is that we do not know how to identify nor speak other's love languages. This sadly includes those nearest and dearest to us, such as family. Many years ago my husband and I read Mr. Chapman's book The 5 Love Languages and it changed how we communicated, not only to each other but to others as well. It is concept we have embraced, used often, and love to tell others about. We have seen it work and we have taught it to our children. 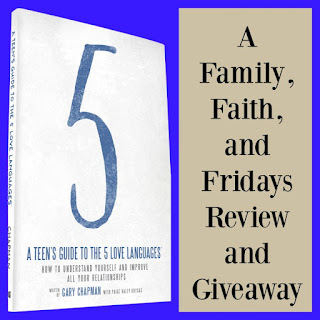 In his new book A Teen's Guide to the 5 Love Languages, Gary simplifies his concepts and speaks dierectly to teens. While not watering down the information, he is able to introduce teens to the concept in a light and enagaging way. 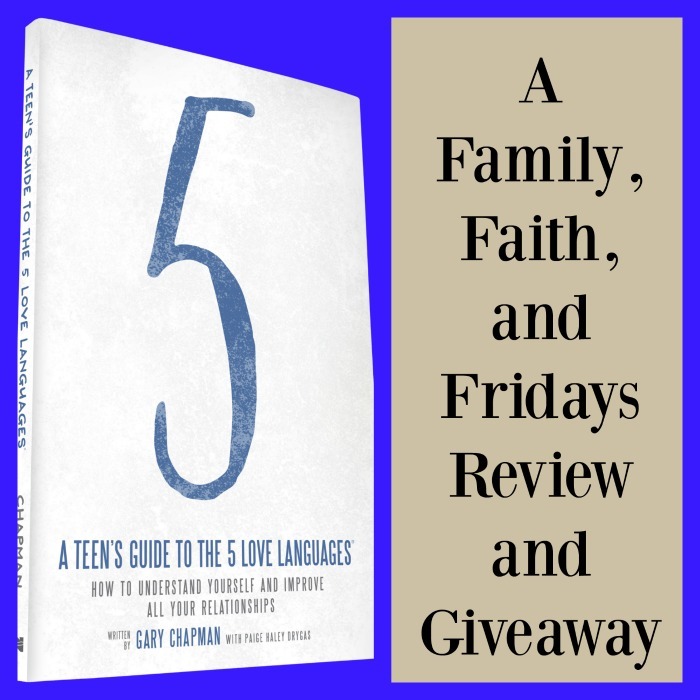 The first 5 chapters of the book explain each of the five love languages, while the next four talk about how those love languages relate to the teen and their family relationships. One of the things I love the most about this 120 page book is that it is a quick and fun read for teens. Mr. Chapman writes in a conversational tone without being condescending, and includes "Case Studies" that teens are sure to relate to. At the end of each chapter is a section called Pause and Process that asks several related questions to get your teen to process what they read. These questions would be a good way to use the book in a group study situation, or simply as a springboard for conversation between teen and parent. The book ends with a Love Languages profile which helps teens identify which love language is their primary love language. By teaching our kids the 5 Love Languages and then how to use that knowledge to speak love to their friends, family, and those they come in contact with daily, we can equip them to better serve and meet the needs of others. It is a skill we could all stand to learn, don't you think? Just leave me a comment here on the blog to win a copy! A random winner will be chosen next Thursday! Gary Chapman, Ph.D., is an author, speaker, and counselor who has a passion for people and helping them form lasting relationships. He is the #1 New York Times bestselling author ofThe 5 Love Languages® and the director of Marriage and Family Life Consultants, Inc. Gary travels the world presenting seminars and his radio programs air on more than 400 stations. For more information, visit 5lovelanguages.com.